Money problems, commuter traffic, and unruly kids are all common stress triggers that can affect a man’s physical and mental wellbeing. Stress can take a tangible toll on the male physique. That’s why spas like Complexions offer therapeutic male spa services. On days like Father’s Day, birthdays, and anytime in between, time to relax with a message or recharge with a facial and fresh shave can make a great gift for guys. Just as fashion and industry have evolved to become more inclusive, so too has spa culture. Today’s hardworking man appreciates and cares for himself more on the inside and the outside. It’s now normal for guys to get groomed during regular spa visits. Looking and feeling good is no longer seen as exclusively a woman’s privilege (or duty), so beauty and wellness professionals have shifted their focus to integrate amazing products and experiences for a growing male clientele. Spas like Complexions are perfect for men who aren’t yet comfortable with the spa idea. Because our approach focuses on the health benefits of relaxation, both our male and our female clients feel instantly at ease. Our male spa services include a no-nonsense manicure and pedicure designed with him in mind to target nails and cuticles, complete with soothing calf-down massage. 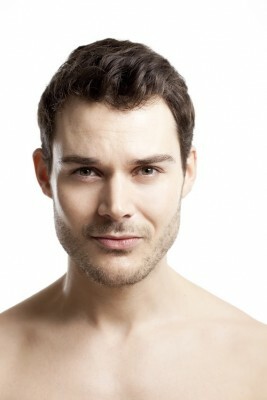 Our full-service master Italian barber offers superb hair services (including color or camouflage) for men and boys. Experience an old-world–style beard trim, head or face shave, and more at our Men’s Barber Spa with products expertly formulated for men. Relaxation and stress reduction services like the head and neck recovery session are quite popular among men at our spa. Creatives, executives, and guys who work at computers find these sessions especially therapeutic. We also offer several authentic exotic massage techniques like Anamai Body Reviver, Hot Poultice Thai, and Ancient Sands. All of our massages can also be performed in tandem for couples. We offer other male spa services that focus on the skin, like our gentlemen’s rebalancing facial, body wellness treatments, and skin care enhancements. Discover the joys of spa services for men—for yourself or a special man in your life. Plus, spa packages and gift cards always make great gifts for any dapper Dan or dad.